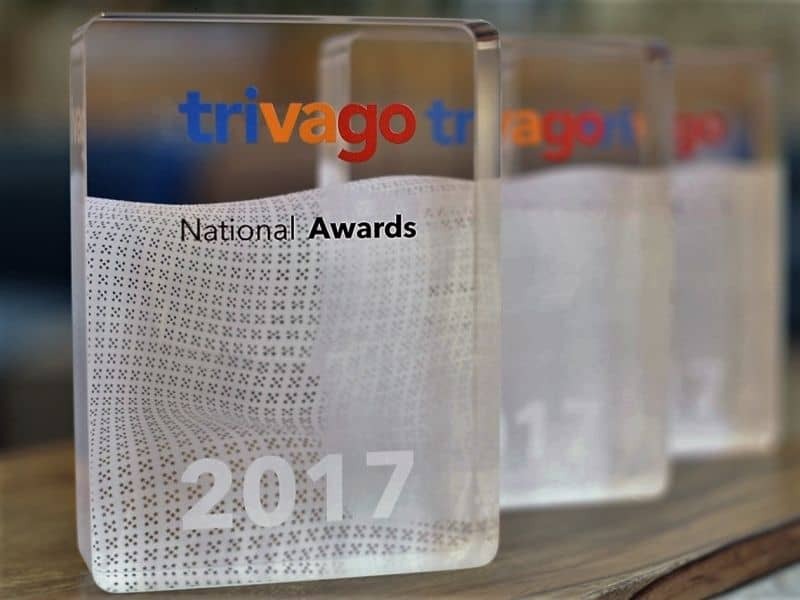 The trivago Awards 2017 celebrate the best properties in Canada. The wait is over. 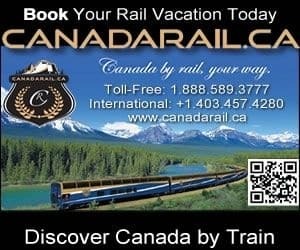 The world’s largest hotel search engine, trivago.ca, is pleased to announce the best properties in Canada — based entirely on guest reviews. 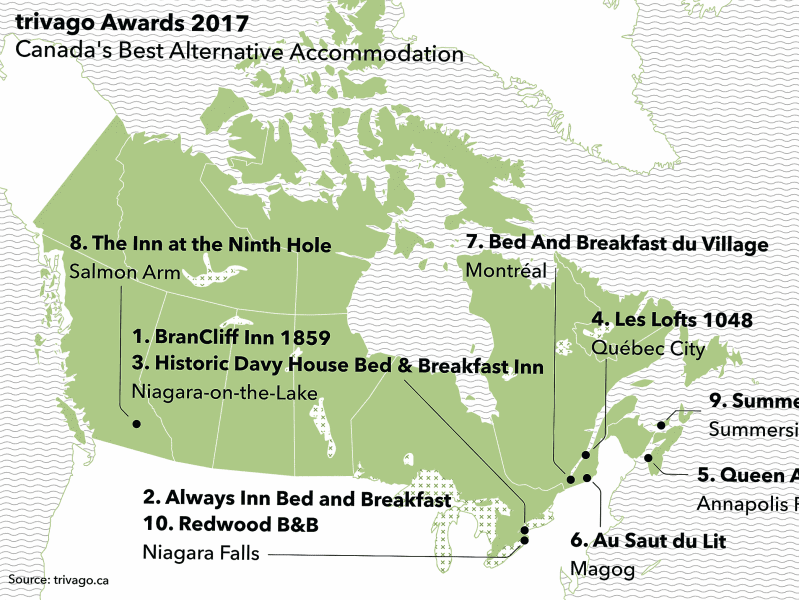 Chosen for their outstanding service, reputation for excellence, and performance, the 2nd annual trivago Awards recognize the 10 best-rated properties in Canada in four different categories; 5-Star, 4-Star, 3-Star, and Alternative Accommodation. How did trivago choose these properties? We didn’t. With user ratings gathered from 34 hotel, booking, and review sites across the web, we’ve created the trivago Rating Index (tRI)*, a comprehensive, transparent and unbiased index for hotel ratings. A perfect tRI score is 100%, and is simply a compilation of all reviews and ratings of each property. Only the highest-rated hotels with prices on trivago.ca and at least 150 tRI ratings and reviews made the lists.